Deep in the heart of hearts beats a rhythm true. Zombo Zombo was a collective of veteran Canadian musicians, fronted by vocalist/songwriter Frank Patrick. The songs, like Frank himself, are honest, engaging and utterly original. Coming from diverse backgrounds, the core of Zombo Zombo – Neil Chapman (guitars), Ian de Souza (basses), Terry Martell (drums & percussion), Rob Greenway (vocals, percussion) – creates a unique, whirling blend of new/old world grooves, rock and funk. Layered with percussion and vocal textures, the album features performances by Rebecca Jenkins, Kathryn Rose, Trudy Artman, Maryem Tollar (nee Hassan), Denis Akiyama, Laurel Federbush, Aron Niyitunga, Geoff Bennett, Matt Horner and Tony Duggan-Smith. Produced by the core band and mixed by veteran producer/engineer Terry Brown (The Who, Joe Cocker, Rush, Blue Rodeo), ‘Into the Market’ received extensive airplay in the U.S., charting on AAA and college radio, topping at #1 for 2 months on KMUD and affiliates in California. 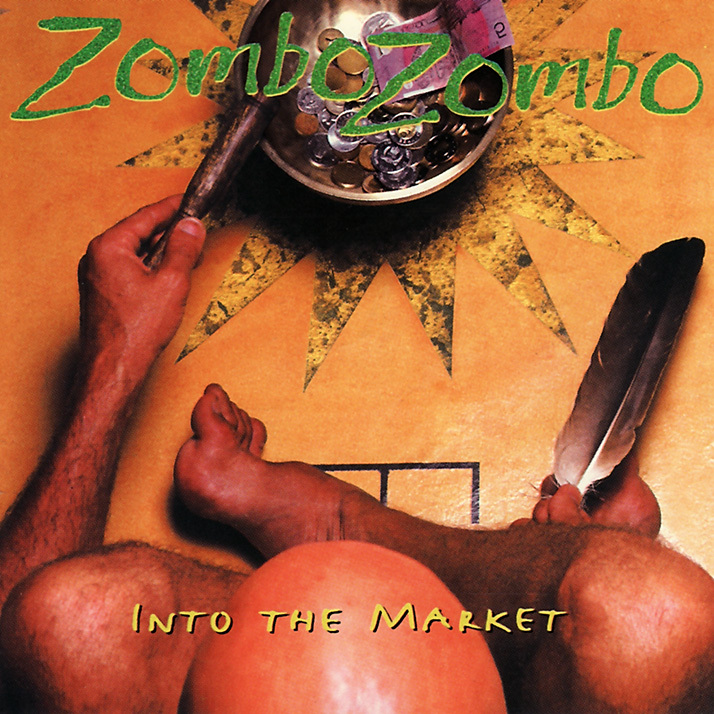 [Zombo Zombo’s ‘Into The Market’ has been out of print, but is currently being re-mastered by Grammy-winning producer/engineer Peter J. Moore, and will be available for purchase this spring.